Mochi, or Japanese rice cakes, is one of Japan's favorite foods. It is not only a traditional food with many ways to enjoy it, but it is also incorporated into modern dishes of various international cuisines. The following is a recipe list of many wonderful and varied ways to enjoy rice cakes. Sakura mochi, or cherry blossom rice cakes, are a traditional Japanese dessert that is enjoyed on March 3rd, or Girl's Day, also known as Hinamatsuri or Doll Festival. Learn how to easily grill Japanese rice cakes (mochi), for a rustic and favorite dish. Ozoni is a Japanese soup with rice cake (mochi) enjoyed on New Year's Day (Oshogatsu). This version is made of a white miso from the Saikyo region of Japan. There are many variations of Japanese New Year's soup or ozoni. This traditional dish can easily be made vegan by using a konbu (kelp) dashi and vegetables. Mochi bars are a sweet dessert made of glutinous rice flour and matcha powder and baked in the oven until the center is chewy and gooey and a light crisp crust is formed. Tofu Mochi is rice cake made with tofu and glutinous rice flour, then seasoned with a light dusting of sweetened roasted soy bean flour (kinako). Norimaki mochi also referred to as "isobeyaki" is a toasted rice cake seasoned with a sweet soy sauce glaze and wrapped in a crisp piece of dried seaweed (nori). Rice crackers aren't just for buying at your local grocery store. It can be made at home fairly easily. Find out how! 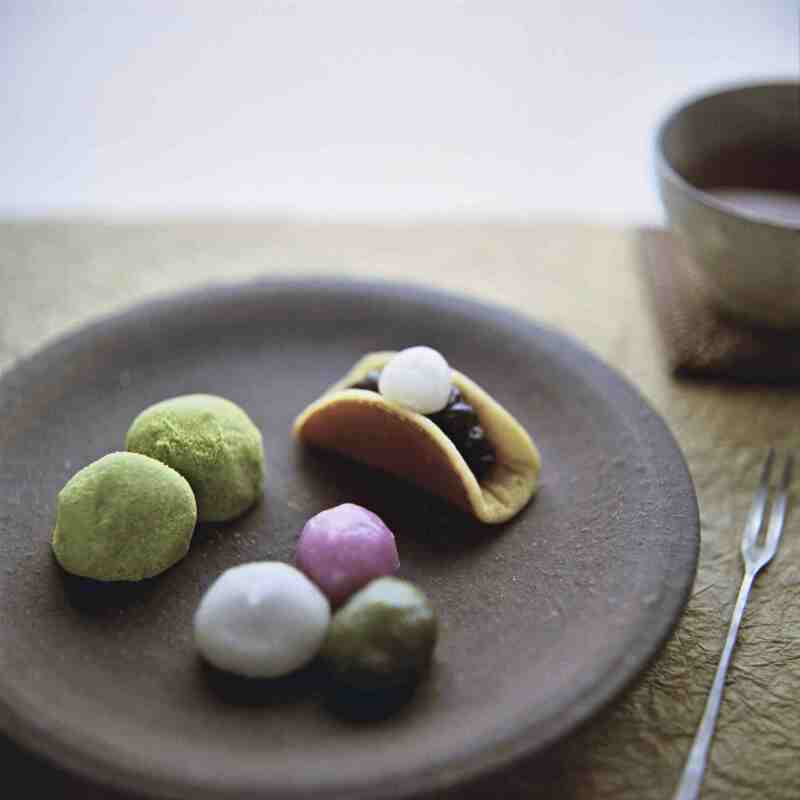 Chi chi dango mochi also referred to as coconut mochi, are small pillowy soft, bite-sized pieces of rice cake that are often made in colorful batches or fruit flavors. Chimaki is a dessert that is traditionally served on Boy's Day or Japanese Children's Day on May 5th. It is a sweet, sticky rice cake wrapped in bamboo leaf.